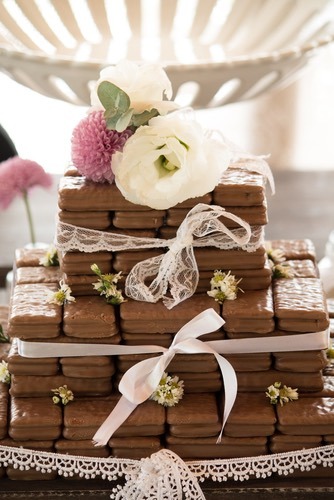 One of the world’s most famous desserts is Tim Tam. If you’re craving for a sweet snack, this famous Australian is something that you should try. One way to eat Tim Tams is to “Tim Tam Slam” it. Just get your favourite tea or warm milk, bite the opposite site of the Tim Tam, then use it as a straw to drink your milk then immediately slam it into your mouth! Often compared to the British Marmite, Vegemite also goes well with toast. It’s made from yeast extract, so it’s a snack suitable for vegetarians. 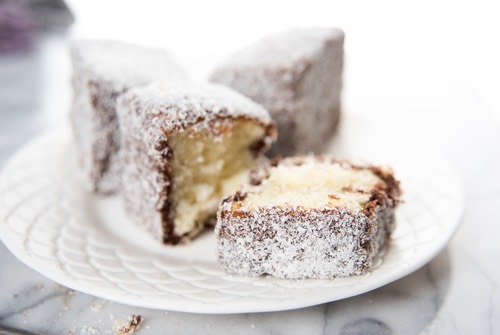 Lamingtons are also one of Australia’s famous desserts. It’s recognised as “Australia’s National Cake”. If you’ve never had one then you probably should get out of that rock you’re hiding in. It’s a sponge cake dipped in chocolate and then coated with desiccated coconut. It’s best paired with a nice cup of bush tea. This dessert is invented and created in honour of the Russian ballerina, Anna Pavlova when she visited the country in the 1920’s. 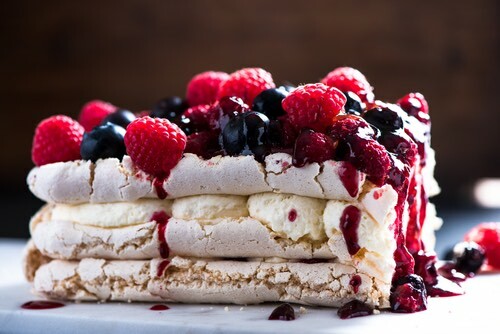 Although both Australia and New Zealand claims that they invented the Pavlova, no one could resist this sweet dessert. Pumpkin soup is served everywhere in the world. But what makes it uniquely Australian is the Granny Smith apple which grows just outside of Sydney. When you’re tired of eating meat, give pumpkin soup a try. 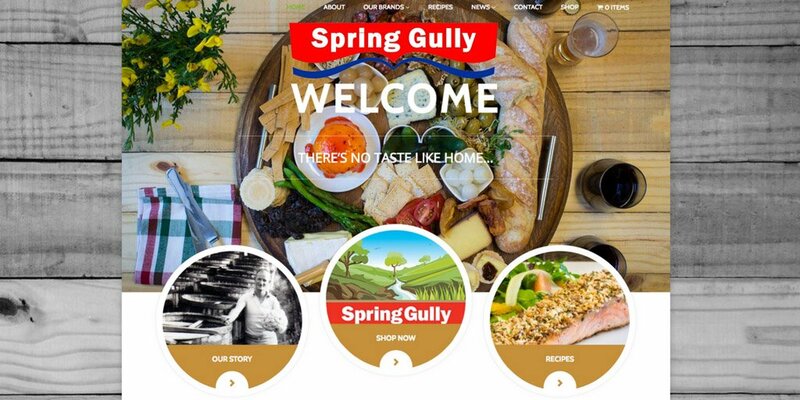 Now what is a list of Australia’s most famous food would be without the Barbequed Snags? Let’s admit it, Aussies would just go at every chance to have a Barbie on a nice day. 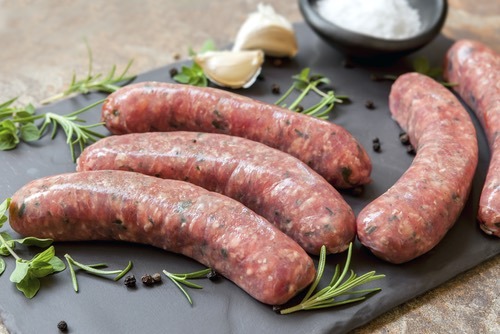 So it’s no surprise that barbequed snags are a classic Australian favourite. 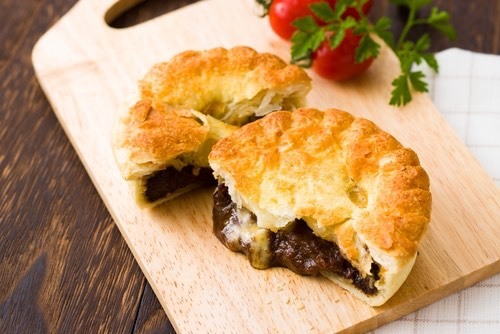 Another famous meat dish is Australian meat pies. They might not be the healthiest dish on this list, but they’re Australia’s favourite snack. Meat pies have beef, chicken or ham and eggs enclosed in a flaky pastry. It’s also usually served with mashed potato and gravy. How’s that for a hearty meal? Did you know that Anzac stands for Australian and New Zealand Army Corps? 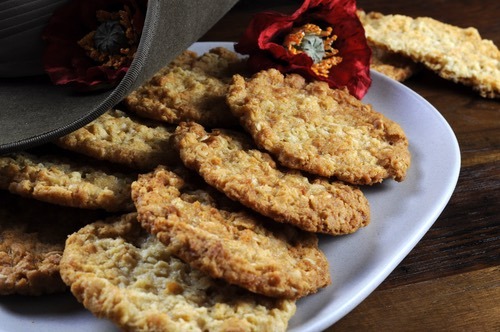 That’s right; the Anzac biscuits are a crunch commemoration of Anzac members who fought bravely during the World War I.
Australia’s a country surrounded by water, so naturally, it also has one of the best seafood in the world. 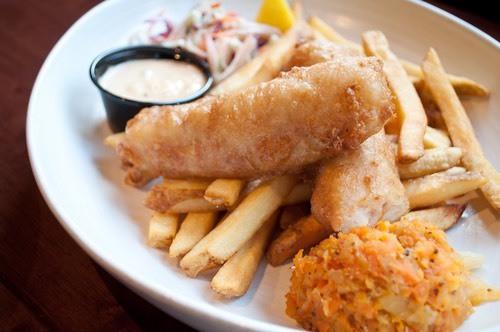 If you’re on the lookout for the best fish ‘n’ chips, then it’s just right down by the beach. You can only expect the freshest fish served with lemon and salt. The first Chiko Roll was invented back in 1951. It looks similar to a Chinese Spring Roll because it was inspired by it. It’s a snack that contains cabbage, carrot, onion and beef.